It has been a busy week in the Karpiuk household – Lucas finally arrived home from Montreal where he attended his U.S. immigration interview, and the good news is that he is officially a U.S. Permanent Resident now. The bad news is… well, there is no bad news. It’s all good! So we’re excited to have him home finally and for this big immigration process to be behind us. While he was gone, I decided to knit something for him because it helped to pass the time. 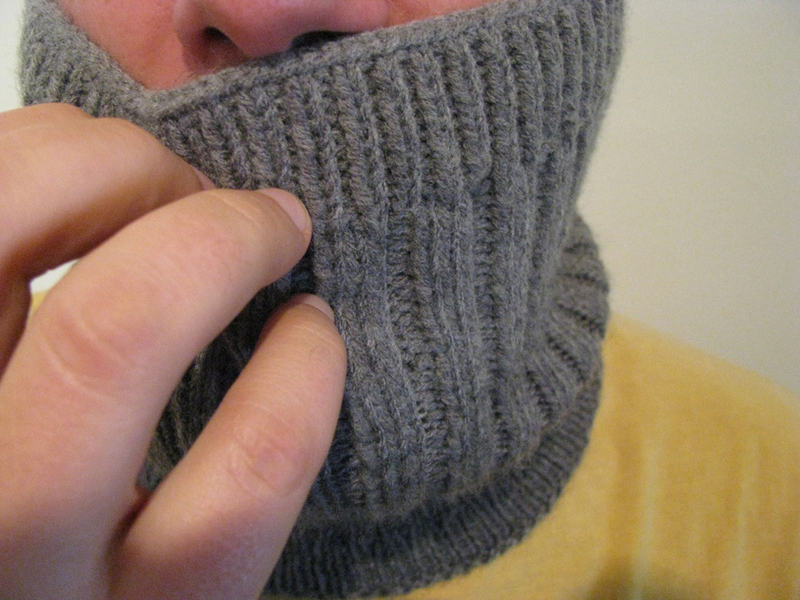 For Christmas I had knit Lucas theÂ Jacques Cousteau Hat pattern by Typy [On Ravelry], and after seeing how much he enjoyed the idea of my cowl, I thought I’d try to fashion a matching cowl that would look good with his toque so that he could have a matching set, too. And that’s where the free pattern comes in. I used the same flavor of basic ribbing to create a cowl that has the same look and feel to it and wrote down my notes so I could share it with others in case they wanted to knit up a matching masterpiece to their Cousteau Hat. I must say, the combination is very fetching, don’t you think? The boys and I presented it to Lucas when he got home on Tuesday and he loved it. 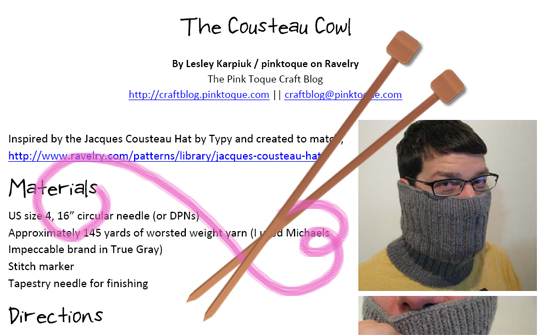 Download my free Cousteau Cowl pattern below on Ravelry! I hope you enjoy the simple and free Cousteau Cowl :) Thanks for stopping by, and happy knitting! 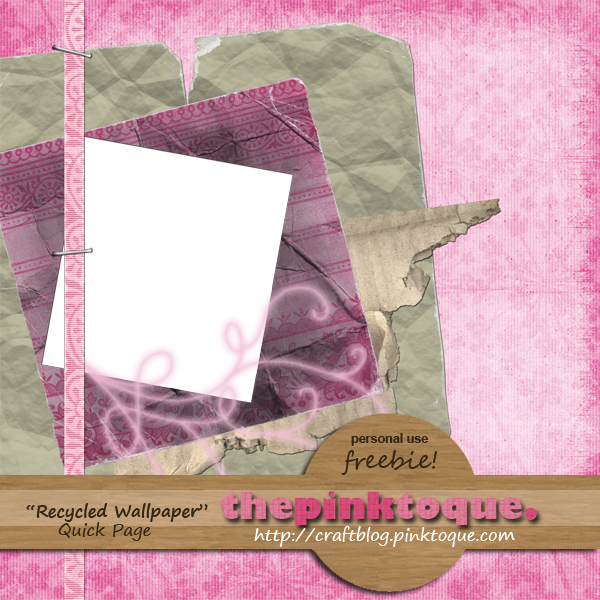 Download the Recycled Wallpaper QP here! Don’t forget that unless otherwise specified, my digital scrapbooking elements are for personal use only. Be sure to check out the TOU included and let me know if you have any questions. I hope to make some more new stuff in the near future, as time allows. Right now I’m back home in Indiana for a brief period this weekend in order to interview with the school district I taught at before I moved up to Canada. Cross your fingers! If I get a job offer, Lucas and I will pack up the boys and we’ll be on our way. Have a great weekend, and wish me luck! I know this is beyond bizarre and a lot of you may be in shock because it’s been months and months and months since the last time I created digital scrapbooking elements to give away since knitting has taken over my craft time lately, but I made some freebies to give away over the weekend and I’m proud to offer them up to you today :) I call this little mini pack “Recycled Wallpaper” as the background papers remind me of scraps of wallpaper that have been ripped down during a remodeling effort. 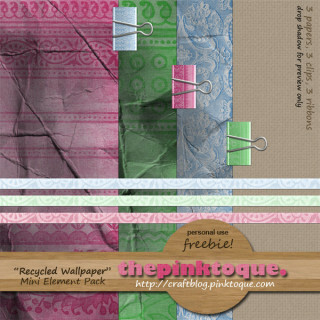 I’ve “recycled” them into something useful for your digital scrapbooking purposes! Happy Canada Day! If you’re looking to whip up something patriotic today (or on Saturday for the 4th of July) check out my free pattern suggestions over at Knitting Under The Desk – I think you’ll like both the Canadian and U.S. holiday ideas. And if you’re an American like me living in Canada, you’ll find time to squeeze in one of each! Celebrating two holidays just plain rules. I’ve been working lately on a dishcloth set for my boss. It’s summertime, and that usually means some kind of temporary office job to keep me busy between school years. Lucas and I are looking at moving back to Indiana very soon, and I recently realized that my time at the office will very quickly be coming to an end. Everyone there has been really fantastic, and I wanted to make a little something for my boss, who is wonderful, and the girl who showed me the ropes and trained me for the job, who is also really great. (See the bookmark I made for her a few weeks back here.) Sort of a “so long, thanks for being awesome” gift. My boss mentioned not too long ago that her kitchen is done in black and red. Mostly black and dark wood with punches of red. 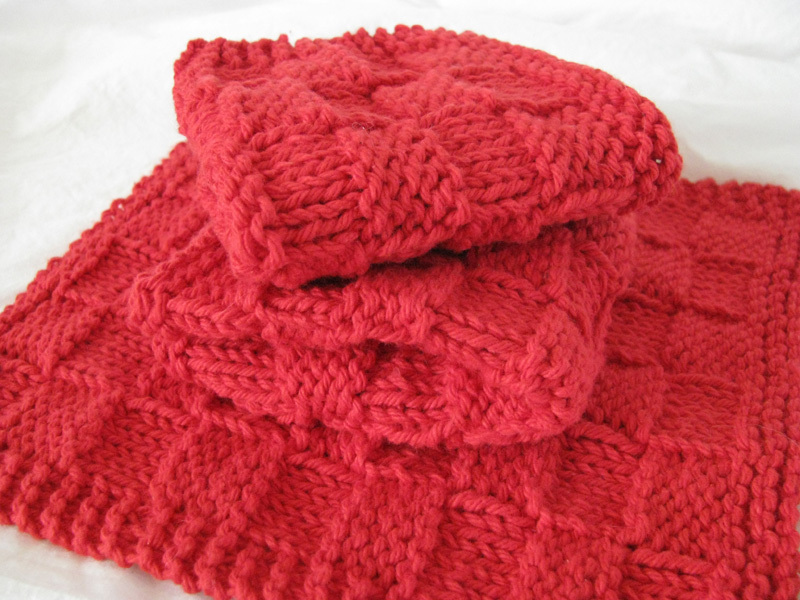 When I started trying to figure out what I wanted to make for her as a “so long and thanks for being awesome” gift this summer, I decided some bright red dishcloths would be perfect. Then the search began. You know, there’s an awful lot of dishcloth patterns out there. I tried out a few and just kept getting discouraged. Nothing seemed to be just right. Then I started messing around with the basket weave stitch (more like alternating stitches evenly to create a basket weave effect more than a stitch), which was featured on a ton of the dishcloth patterns I was perusing, but eventually I just said “forget it” and put together my own version of a bordered basket weave dishcloth pattern. Unoriginal, I know. And seriously, just what the world needs is another dishcloth pattern, but really… this turned out well and I like how the borders gave it a really sharp, neat look to it when all was said and done. 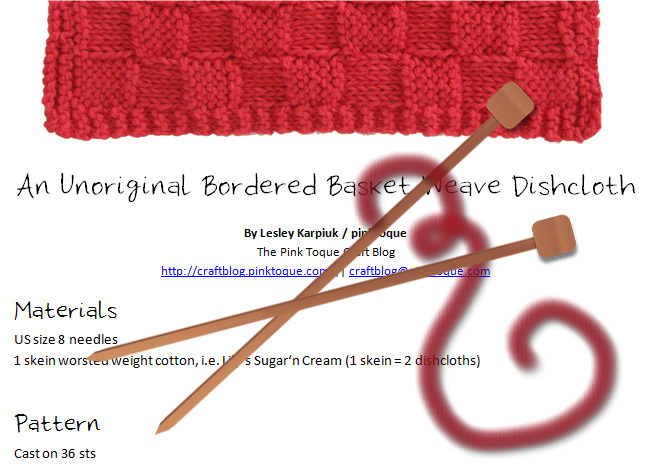 So my pretties, as a Bonne fete du Canada gift, I present to you… my Unoriginal Bordered Basket Weave Dishcloth pattern. Free, of course. I think you’ll rather like the simplicity and reversibility of it! Not to mention that the little pocket square texture makes a great surface for scrubbing with.Â I have made three so far and am planning on making one more and then folding them up all pretty (after blocking for presentability’s sake, of course) and tying with a black ribbon. 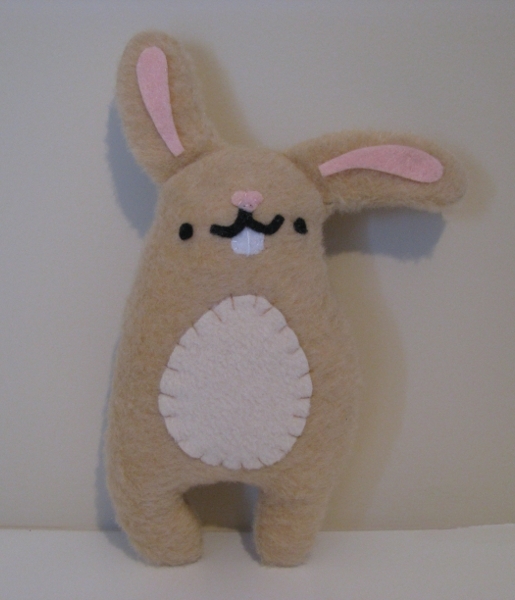 Download the PDF here [non-Ravelry users] or on Ravelry as a free [Ravelry PDF download]. 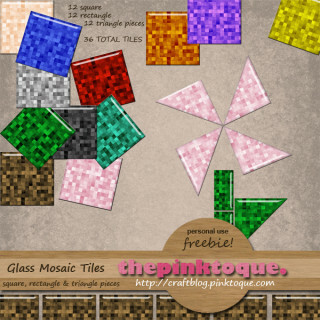 Download my Unoriginal Bordered Basket Weave Dishcloth Pattern FREE! So that’s my crafty donation for the weekend. And what a busy weekend it was! I spent most of my weekend in a two 8-hour day first aid course for work. I am thankful that my instructors had a great sense of humor because it actually helped make the day not seem to drag on. 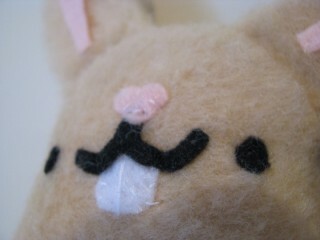 But I did feel like my weekend flew by way too fast, with very little extra time to craft. This next week will be the same… a short four day week at work for kids, but five days of home visits to families of my students for me. The best part is that after I get through next week, it’ll officially be spring break and I’ll be done with home visits. Plus my mom and grandma will be here to visit, yay! So I’m hangin’ in there and am looking forward to more relaxing times ahead soon. How awesome is that? And wow did such nice comments make me blush. And which design did I use? 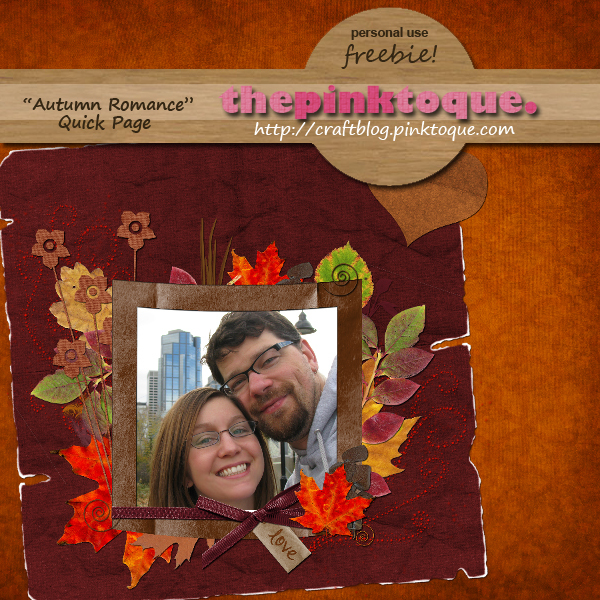 My “Autumn Romance” quick page that I created and gave away for free here on my site back in November. 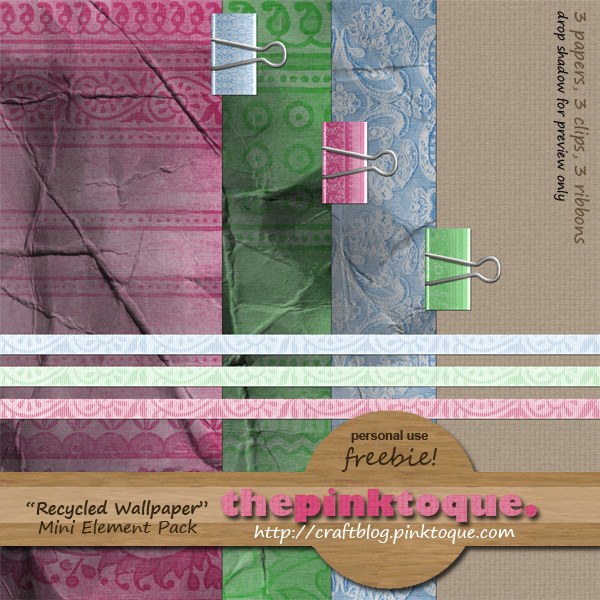 Did you miss this freebie? Well go and grab it HERE so you’re not missing out! :) Don’t forget if you’re on Facebook to join the My Memories Suite fan group and enter to win! Today marks the last day before Christmas/winter holiday break for a lot of people, including teachers and students!Â Today was the last day of guest teaching for me and I was lucky to have my most favourite of all grade 1 class as my last day.Â Now it’s the last day before holidays, but it’s also my last day of guest teaching because I was given a full time kindergarten teaching contract that starts up on January 5th after the break.Â YAY!Â It’s about time, eh?Â It’s a small private school in downtown Calgary and I am really excited. 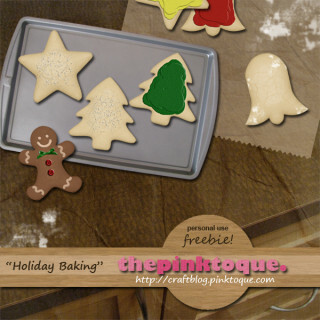 So for the freebie this week I wanted to present you with a set I made a little while back that I absolutely love.Â With holiday baking being a very important part of the holiday season, I thought you would all enjoy a holiday baking set.Â This personal use freebie includes a cookie sheet and three different shapes of sugar cookies — bell, star and tree — that come in four different decorated versions — plain, flour powdered, frosted and sprinkled with sugar — to grace your baking scrap pages this season.Â That’s 12 different cookies + a bonus gingerbread man I added, too.Â There’s even a piece of waxed paper and a freebie paper included of a countertop (our countertop, lol) so you’ll have all you need to create a beautiful baked good layout this Christmas. Download my Holiday Baking freebie HERE!Â Don’t forget to read the personal TOU included. I hope everyone has a very merry holiday season!Â Things will probably slow down around here for awhile as I get adjusted with the new job and such.Â Happy New Year and best wishes! As I’m sure most of you are experiencing, December is a very busy time of the year.Â I’m having a hard time keeping up around here mostly because I’m working so hard to get my Christmas gifts made (just one project left to go now, woo!) along with doing Christmas cards, the usual holiday baking, etc. etc. etc.Â How is it that December seems to sneak up out of nowhere and suddenly it’s Christmas? I have a little freebie for you today; I wanted to have something birthday-related because tomorrow I turn the big 2-9 (*wince*) but I haven’t had time to devote to creating new digital scrapbooking goodies so I’ve resorted to putting up something I made a month or so ago and have had sitting in my “ready to release” folder.Â These glass mosaic tiles are just some extra frills for you to use on your pages: there’s 12 different colours and three different styles of tile… full square, half squares (triangles) and smaller rectangular tiles.Â That’s 36 tiles for you to arrange however you’d like to create a neat mosaic design in your scrapbook! I don’t know what the weather is like where you are, but we’ve been pummeled lately with snow.Â Last week we received a little over a half foot, and then this weekend the temperature dropped to a high of -20 (not including windchill) and we’ve received around a foot of snow with more coming tomorrow supposedly.Â It’s so cold!Â We managed to dig out the car and go out for sushi at our favourite place close to home this evening for my birthday dinner, but we don’t plan to leave the house tomorrow if we can help it.Â It’s kinda nice feeling snowed in, but at the same time I can’t help but think about the drive to work on Monday morning.Â Ugh! This week’s freebie is a quick page that I call “Messy Desk.”Ã‚Â It’s an ode to my own messy desk right now as I realize Christmas is just around the corner and all of my Christmas gift crafts are not yet finished. I haven’t even begun to think about Christmas cards yet, and if I don’t get mailing soon… my gifts and cards won’t arrive on time.Â Ack!Â So I’ve been busy and crafty and thought this quick page would be the perfect touch for this week. 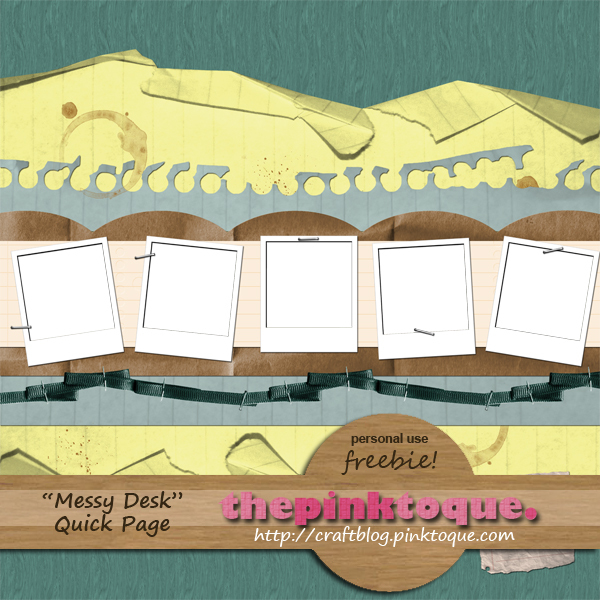 Download my “Messy Desk” Quick Page freebie HERE! To coordinate with my Autumn Romance Quick Page given away late Sunday/early Monday I have for you the cluster frame portion of the quick page, in case you just want the frame to use on your own layouts and backgrounds.Â All you have to do is design the background and plop this frame onto your page and stick a photo behind it and you’re done!Â I had a lot of fun designing this frame, which was why I wanted to give it away separately from the quick page as well. It could be used in so many other autumn layouts! 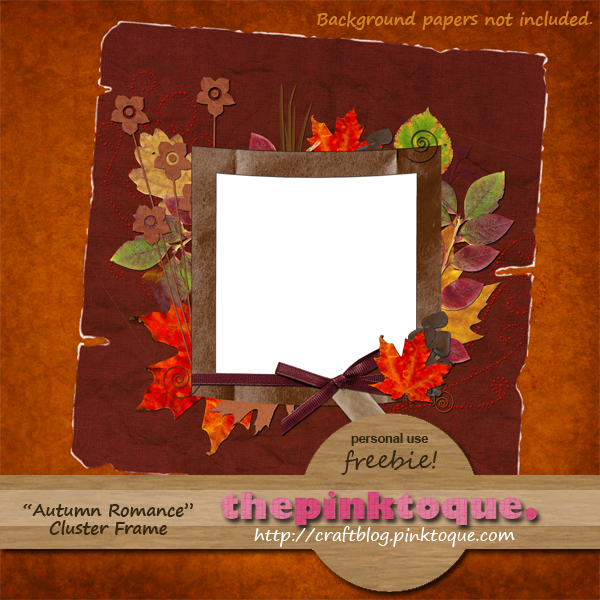 Download my Autumn Romance Cluster Frame HERE! I missed Freebie Friday again!Â Let me apologize, it’s been a busy weekend!Â Friday I worked all day and then had to hurry home to clean up a bit so that someone from the company that built our home could come by for their scheduled 1 year walkthrough inspection/check up.Â Then I had to bake several dozen cookies for a cookie exchange I went to on Saturday with my friends Michelle, Kim and Kirsten.Â WOW was I ever experiencing a sugar hangover this morning!Â So here I am late on a Sunday night trying to make up for missing Freebie Friday.Â Oops! 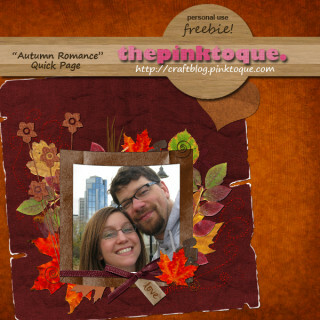 Download my Autumn Romance quick page HERE! I hope you like it :) Be sure to check back tomorrow for a coordinating piece you might also enjoy.Â Sorry for being late!Â Hope everyone had a wonderful weekend.